We’re very proud to feature Vinay and Asha (crowdSPRING username: Knifeonbutter) today. 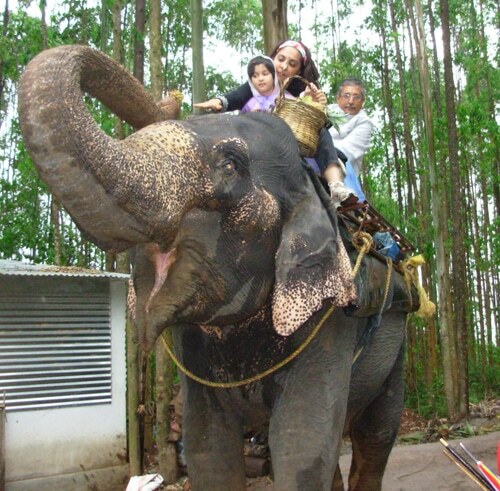 Vinay and Asha live and work in Goa, India. 1. Please tell us about yourselves. We have traveled around the world, working in places as far and diverse as Fiji Islands and Dubai, not to mention all the cities across India. We now reside in Goa, dream beaches, sun,sand, coco feni, and like to pretend to work hard. Ideas fortunately , winning ideas save the day for us on sites such as yours. We just love crowdSPRING. We are both writers from the day we left college, and have worked with top 10 ad agency networks. It all started in school, when the teachers noticed we had a flair for writing, however, the idea lightbulbs started glowing, later on, after 3 years of hard, rigorous college education in disciplines as strange as physics and home sciences. we can’t quote Shakespeare. We are more fascinated with Adworld writers, Paul Hegarty, and creators like the Saatchi brothers. Oh, its a long list, right from brand names on your site to tag lines to hold your breath, selling a premium burial space in Trinidad and Tobago (seriously, and we actually did it – it was fun). Anything and everything, our niche is travel and we have a long running blog for a UK client. We also did some nice work on Indian destinations for a US travel company. Love doing brand names, tag lines too! 6. When working as a team, what is your creative process? and go to sleep. Wake up with a day to go for the deadline and let the creative juices flow. Not much, except admiring the canners gold winners for their outstanding work – it’s good inspiration for us. We are sure there are tools to spinning and sharpening brand names and tag lines, but we never got down to discovering them – which is a pity. We really don’t promote our work – you folks promote it for us! its word of mouth, honestly. Apart from your site, we sit pretty on elance under the same name: knifeonbutter. The reviews and feedback on elance knifeonbutter also get us a fair amount of attention. We are tired by 9am, with the ardous task of getting our daughter ready to go to school and shopping for the day. We brighten up once we log on to sites which are our regular work feeds, and from then on, we take it as it comes. some days are longer than the others, and we don’t mind even stretching beyond evening time into the orange hues of dawn, if the work is good. 10. What is your favorite advertisement? 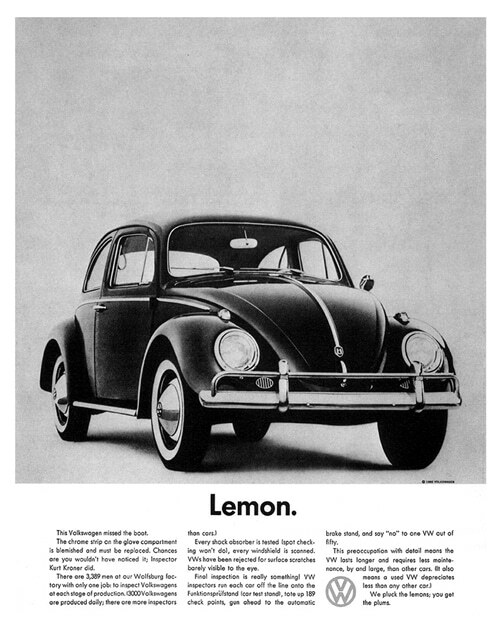 By far, the lemon ad from the VW series, hats off to Bernbach. Would be a bookie perhaps, as one of our passions was at one time horse racing. Oh, plenty to browse around with 20 news sites, and a colorful country like India. Lots of catching up on fb with friends and co-pros. We like to visit art galleries, travel, play with our 4 year old daughter. Than you so much Vinay and Asha!